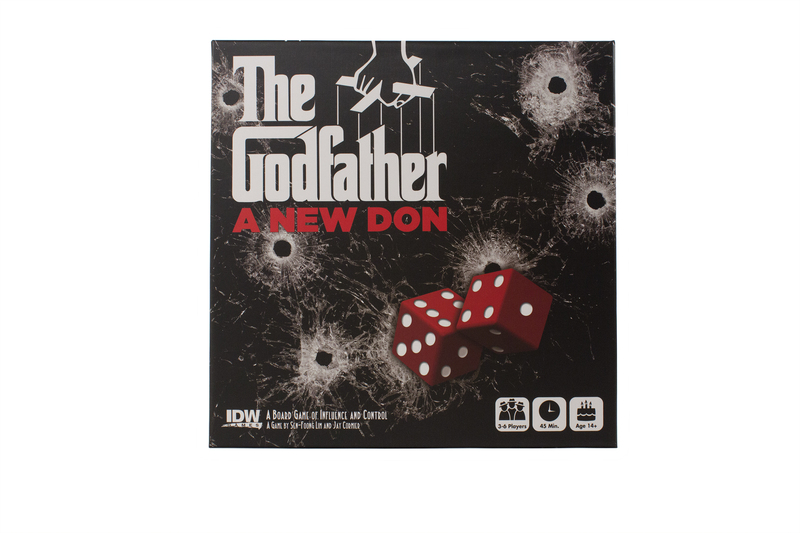 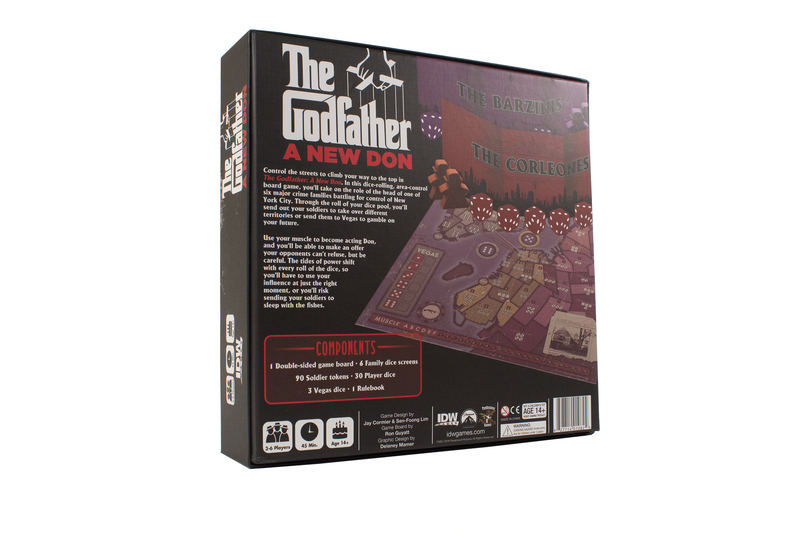 Control the streets to climb your way to the top in The Godfather: A New Don. 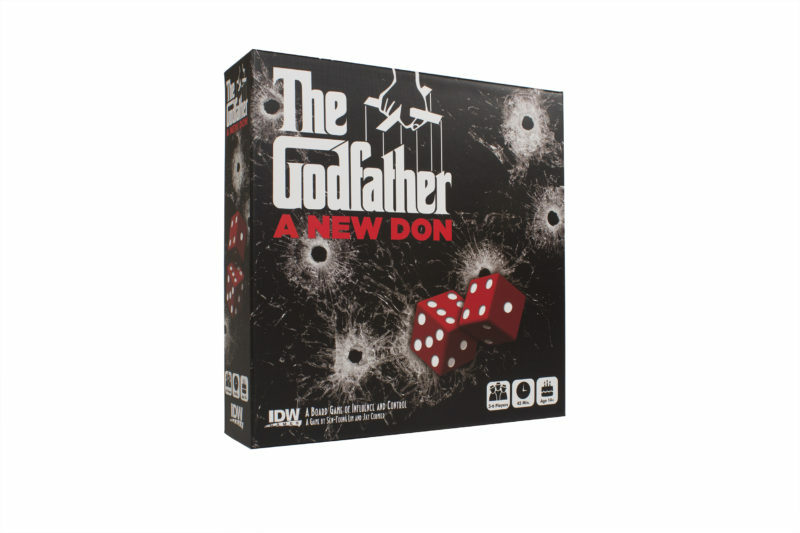 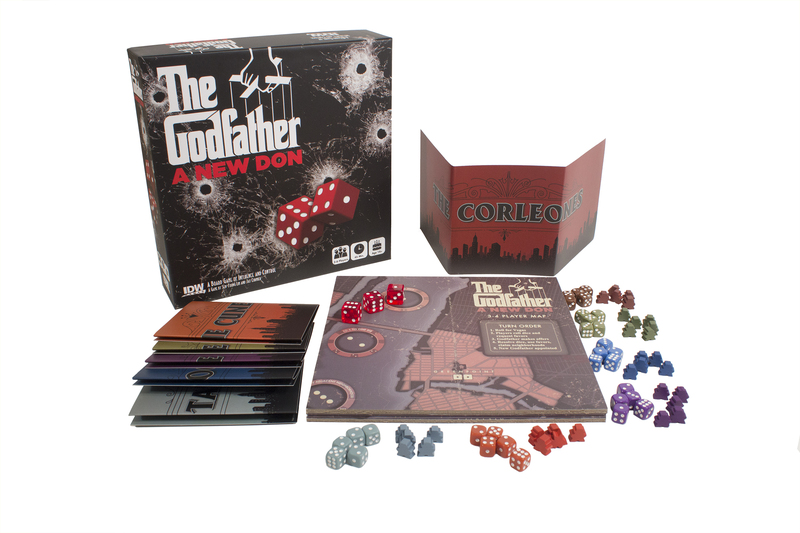 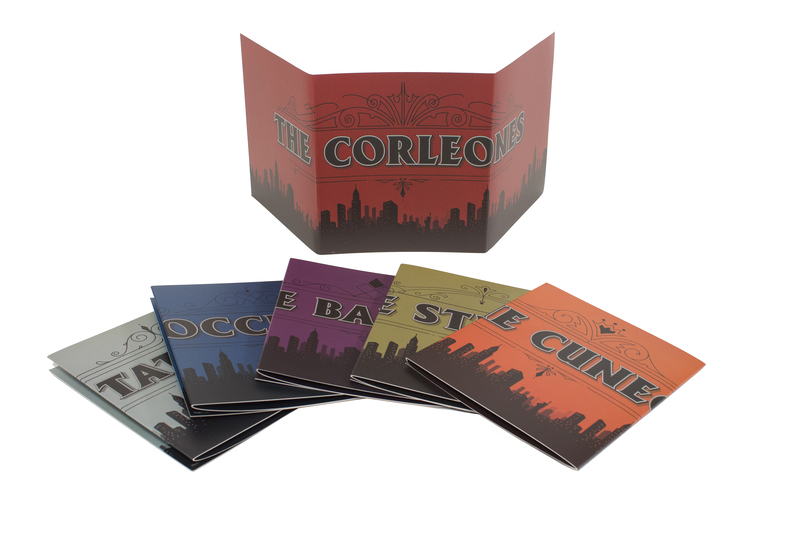 In this dice-rolling, area control board game, you’ll take on the role of the head of one of six major crime families battling for control of New York City. 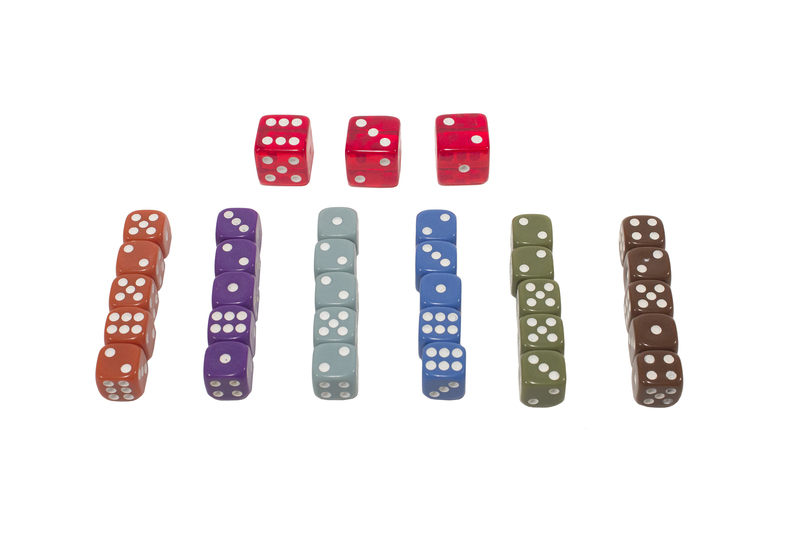 Through the roll of your dice pool, you’ll send out your soldiers to take over different territories or send them to Vegas to gamble on your future. 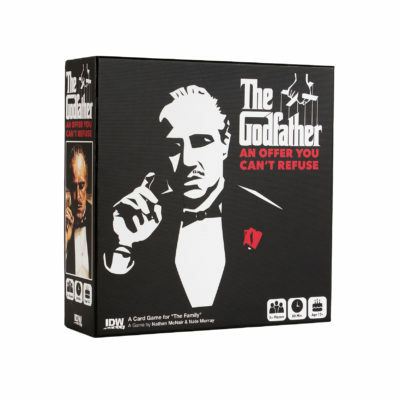 Use your muscle to become acting Don, and you’ll be able to make an offer your opponents can’t refuse, but be careful. 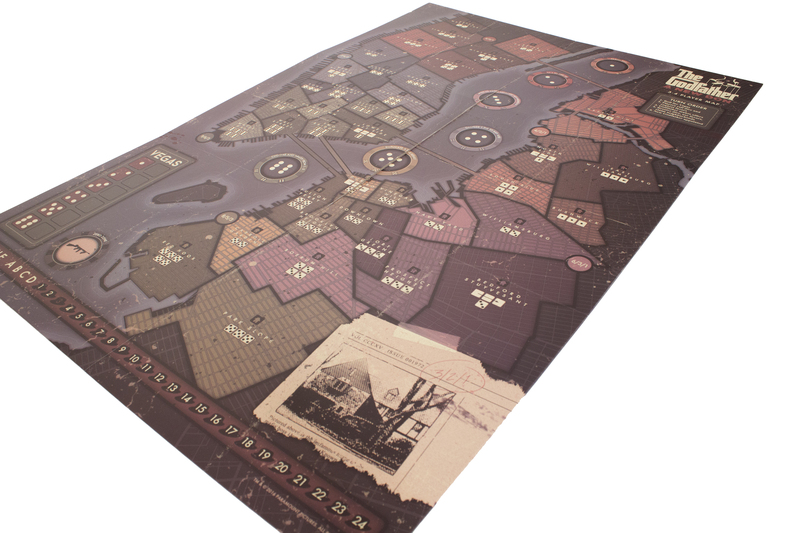 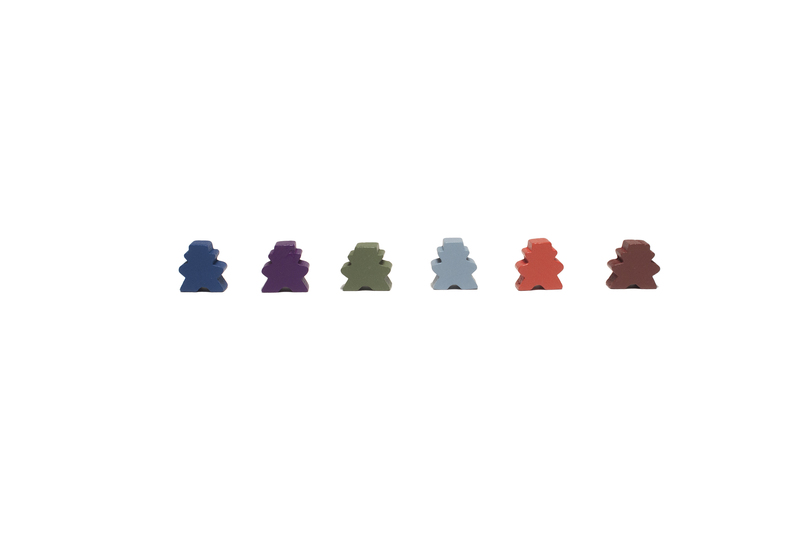 The tides of power shift with every roll of the dice, so you’ll have to use your influence at just the right moment, or you’ll risk sending your soldiers to sleep with the fishes.